While in India, current Electrical and Computer Engineering PhD student Sunint Khalsa was a regular reader and admirer of Dr. Yvan Labiche’s research at Carleton University. “One day, I found myself sending my resumé and application to Dr. Labiche to pursue a PhD under his guidance,” said Khalsa. Labiche is the lead researcher and principal investigator of the SQUALL, and is the Department Chair of Systems and Computer Engineering. The Software Quality Engineering Laboratory (SQUALL) is an industry-oriented, software engineering research laboratory, which is located in the Department of Systems and Computer Engineering at Carleton University. Several Systems and Computer Engineering students are heavily involved in the research that the SQUALL carries out. Khalsa will be graduating in the spring with her PhD in Electrical and Computer Engineering, and is working in the field of Software Testing, specifically with a Black Box testing technique called Category Partitioning (CP). “Category partition is a black box testing technique that systemizes the generation of test cases based on the requirements of the system rather than its implementation,” said Khalsa. Khalsa worked on implementing CP at an internship with Ericsson, a networking and telecommunications equipment and services company. At Ericsson, she was able to improve the technique by introducing new algorithms, which led to a significant improvement in the quality and reduction in the cost of the existing test suites. “Similar to other engineering fields, software engineering is also ever growing and is looking for best practices for creating cost effective, fault-free and robust software,” said Khalsa. Khalsa was initially involved in the field of Software Design and Metrics when she was working as an Assistant Professor at an engineering college in India. “Dr. Labiche has always been a motivation during the course of my program. He has been a great support with ideas and knowledge whilst allowing me the room to work in my own way,” said Khalsa. After Khalsa receives her PhD, she will be looking for positions in software industry or research groups where she would get a chance to research and implement new testing techniques and improve the quality of the test suites. 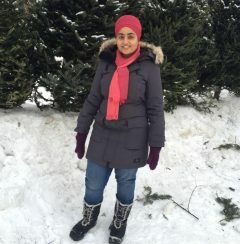 Wafa Hasanain is another student who is doing research with the SQUALL. She is in the second year of her PhD in Electrical and Computer Engineering. Hasanain works on a project titled Unit Test Patterns for Multicore Software which aims to better understand “code clones” in test code in order to make testing activity more effective, thus resulting in better quality software. Hasanain first worked with the SQUALL as a research assistant during her Masters of Electrical and Computer Engineering, which she says was instrumental in developing her research skills. “I believe that performing the research under Dr. Labiche’s supervision will help me to successfully achieve my project objectives as I continue to develop my knowledge and professionalism,” said Hasanain. Hasanain, like Khalsa, is also undertaking an internship at Ericsson where she is carrying out the project regarding code clones. “This will constitute a major contribution to Ericsson because it will be able to make testing activity more efficient and therefore free resources,” said Hasanain. From a scientific point of view, this project will contribute to knowledge in the research areas of test code clones, test code clone detection, and test code patterns. Congrats to Sunint Kaur Khalsa. She is a motivated personality….